Buy 3 ties and we will deduct £15 from your total. For every bought tie on top of that we will deduct an extra £5. 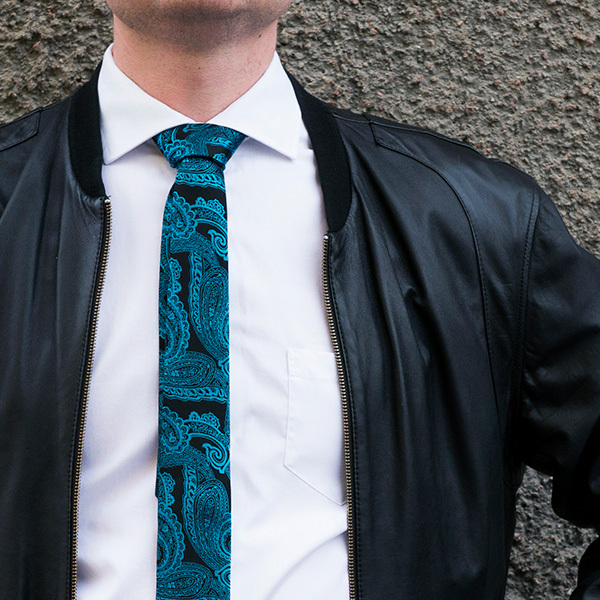 Tieroom offers a large selection of ties for every occasion and style. Unique designs for both men and boys. All ties at Tieroom are from our own brand Notch. With over 10 years experience in ties we feel we have the knowledge to create perfect neckties and bow ties. If you are unsure about the tie size, one simple general guideline is to match the widest point of the tie to the width of shirt lapel. 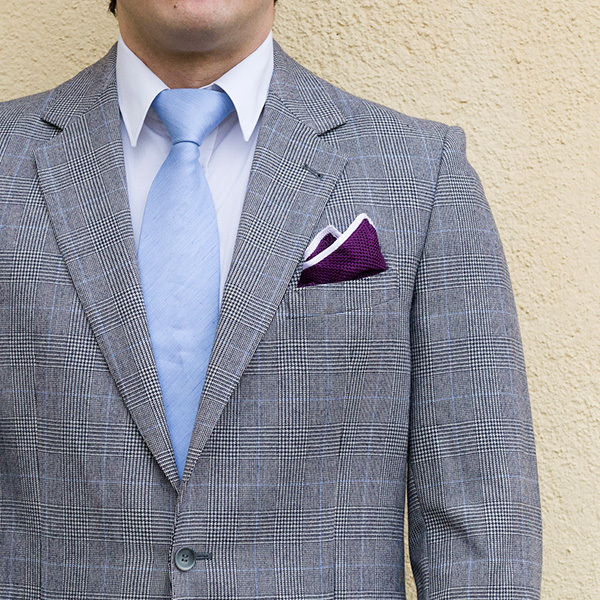 With that in mind try to also match the width of your tie with your body shape, the fit of your suit and shirt collar. That is why Notch ties come not only in 400 patterns but also in two widths. 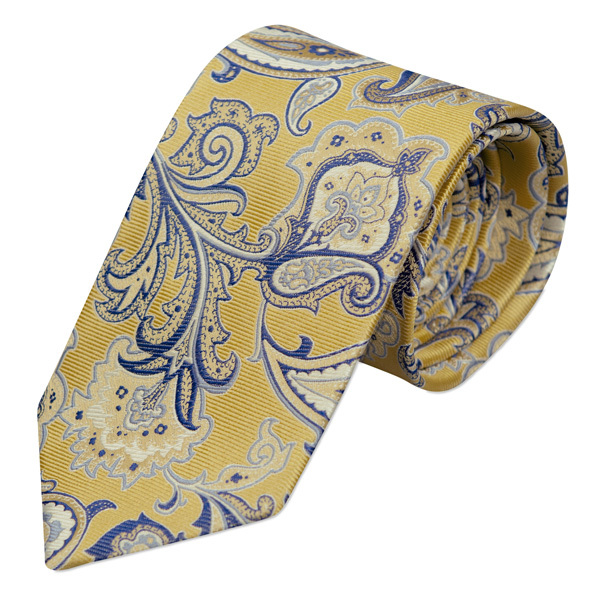 Your traditional tie will have a width around 3.00″. Our Notch classic width ties all have a width of 3 ⅛" (8 cm) meaning a size that will work for pretty much everyone, young or old, slim or big-boned. Our range includes top shelf Silk, Wool, Linen and Cotton. Silk is the most common fabric used for ties and can be used all year round given some consideration to matching colour with season. 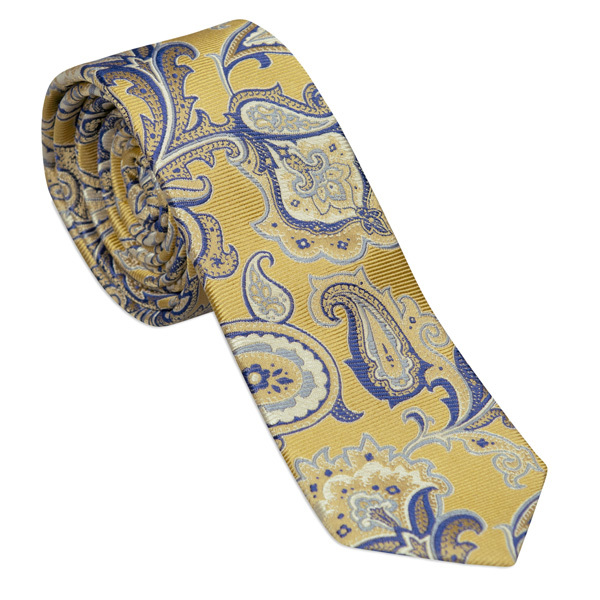 The earliest example of silk fabric is from 3630 BC and silk has proven to be a very durable tie fabric. Another neat thing with silk ties is that they don't wrinkle as easy as other fabrics. Our Notch ties are 100% Mulberry Silk of 28 momme (meaning the top-shelf stuff) with most being a Jacquard weave. 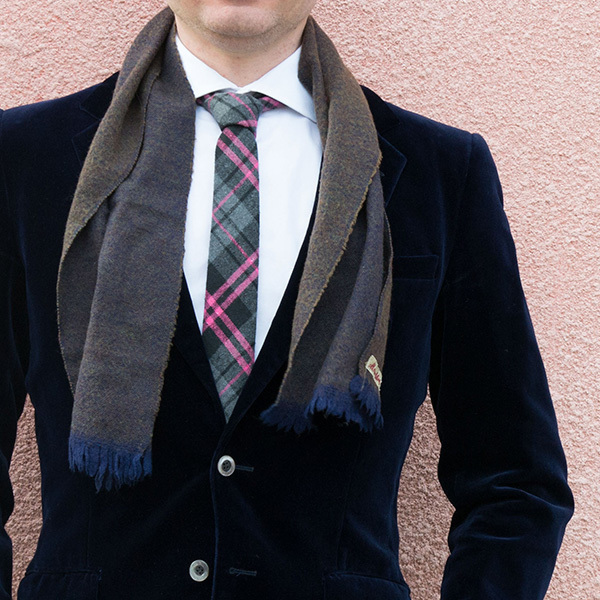 A common choice during winter is wool ties since cold-weather is ideal for thicker fabrics with texture. The darker more subtle designs also fit well with the seasons outfits. Wool ties have grown in propularity over the last few years as men strive towards that image of a proper English gentleman. Linen ties are very much a spring and summer thing. It gives that bright and happy feeling while staying a bit more casual than other materials. To get the perfect fall and feel, our version of the linen tie is a blend of linen and silk. It gives the same appearance as an all linen tie but with a better fall and feel. Cotton ties are as linen ties best during summer. Cotton is a lighter fabric if you compare to silk and really makes bright colors pop. Perfect for the garden party or a wedding. 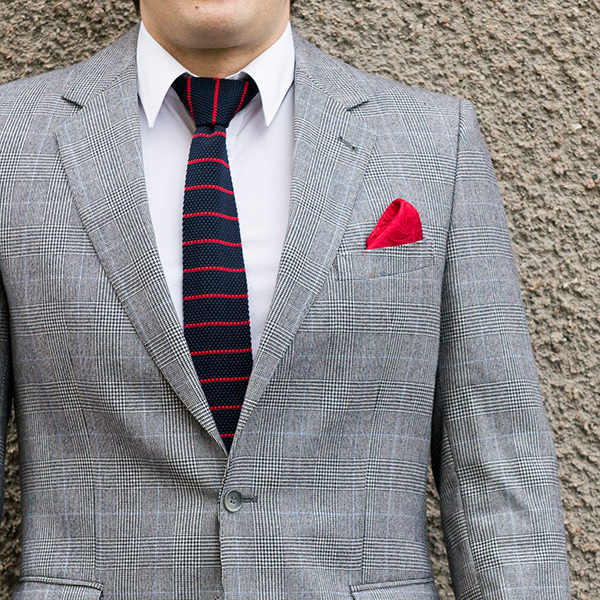 Knitted ties are characterised by their complex texture and perfect if you are after a more relaxed look. The knitting process produces an undulating web which creates shadow effects that add an extra dimension compared to wool or silk ties. We do our knitted ties in either 100% wool or 100% silk. 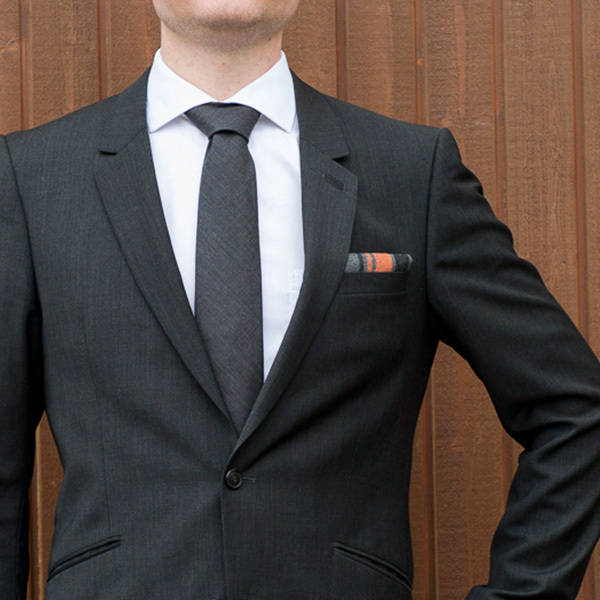 The skinny model is extra popular (and recommended) for knitted ties. Wide range of mens ties. Two widths. Fits all. Large selections of pre-tied and self-tie bow ties. Wide selection of modern unique design and timeless patterns.